The PLAT-I tidal energy system . 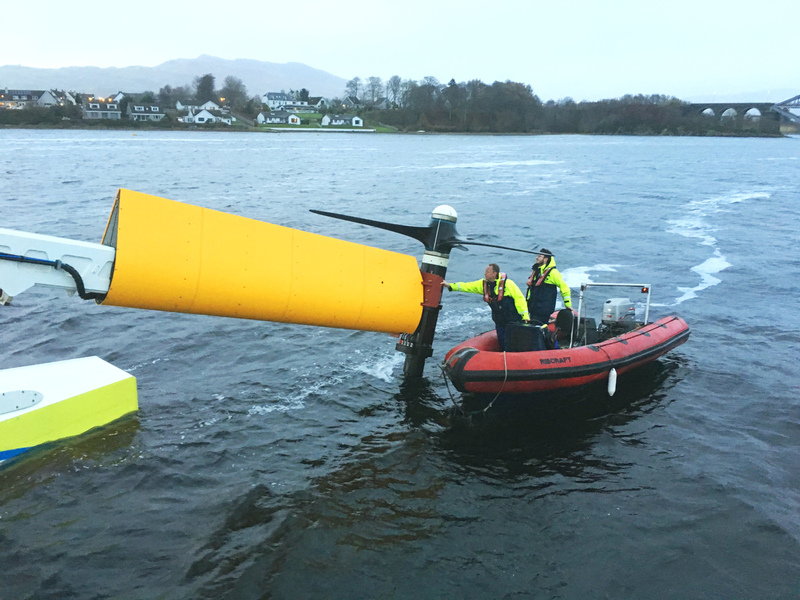 The PLAT-I tidal energy system has begun generating power for the first time from Connel Sound, near Oban, on Scotland’s West Coast. Announced by the tidal turbine’s energy developer, Sustainable Marine Energy (SME), the floating tidal platform is designed for inshore tidal generation. Designed this year, the device spent the summer at fabrication company JBS Group Scotland, in Peterhead. The device has four turbines and will be going through testing and commissioning this week. Jason Hayman, managing director of SME, said: “As a team we have taken PLAT-I from drawing board to first power generation within a period of 15 months – this is a real achievement and testament to the talent and dedication of our staff. The support of the Scottish Government as well as our supply chain partners and investors has also been instrumental to this success. “Now we are eagerly looking forward completing testing at Connel and to the next phase in the project which will see the system installed in South East Asia with our regional partners including ENVIROTEK. Once testing is completed the group will be sending the PLAT-I out to South-East Asia, most likely the Philippines, where it will be used to aid smaller communities who currently rely on unreliable fuel powered generators. Niels A. Lange, managing director SCHOTTEL HYDRO GmbH, added: “Over the past few years SCHOTTEL has invested a great deal into the development of the SIT turbine and power conversion systems. We at SCHOTTEL HYDRO are very pleased to see the first results of our collaboration with SME on the PLAT-I project.